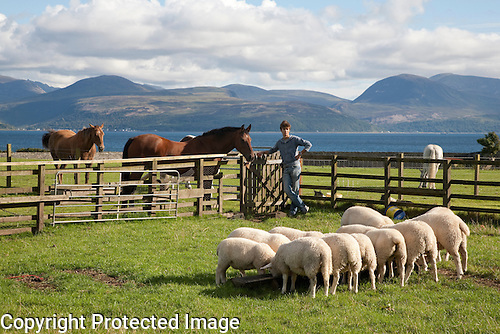 Here is the view from the Seafood Cabin out onto the Isle of Arran from Skipness. The great place to eat in Scotland …. 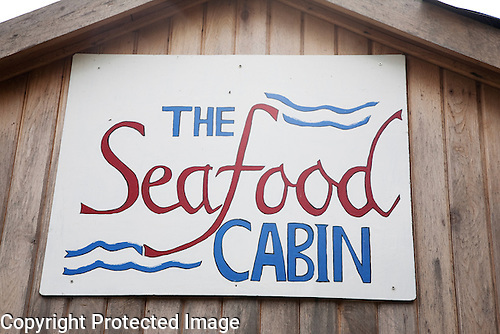 the famous Skipness Seafood Cabin in Kintyre. Fresh seafood straight from the sea. We visited this place whilst staying in the Isle of Arran …. well worth it. Here is my favourite Island in Scotland the Isle of Arran. 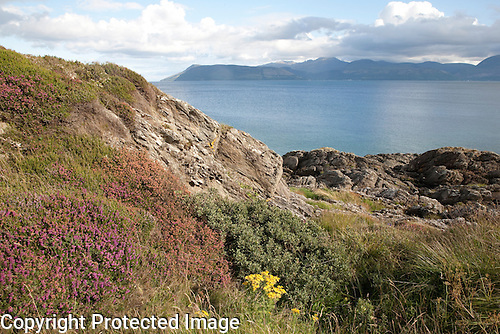 The shot was taken from Skipness on Kintyre. 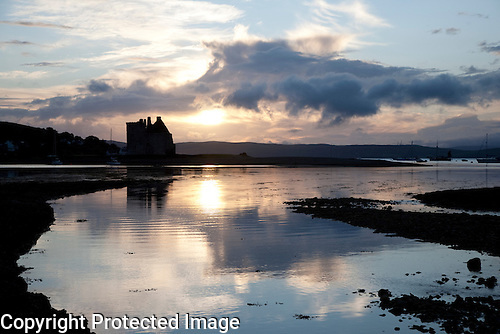 Here we have the wonderful castle in Lochranza on the Isle of Arran in Scotland. Arran is often described as Scotland in miniature due to the high mountains in the north and the calmer landscapes and beaches in the south. Broddick, the capital, hosts Broddick Castle and CountryPark, the local brewery, the Arran Museum as well as all the main shops and facilities. In the north is the stunning village of Lochranza you will find the island’s whisky distillers, the ruins of a 13th century castle with deer free to roam wherever they choose. To the west is the town of Blackwaterfoot with its amazing golf course right next to the coast with beautiful views across to Kintyre. From Backwaterfoot the coastal footpath will take you to Drumadoon Point and then along to Machrie where you can visit the famous standing stone circle.